The company operates eight manufacturing sites strategically located in Mexico, the US and Brazil, as well as four tech centers located in the same countries. 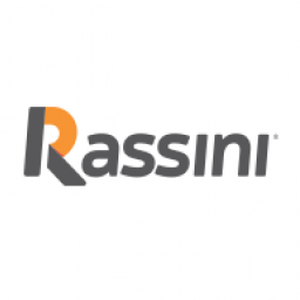 Mexico-based auto supplier Rassini, S.A.B. de C.V., reported earnings before interest, tax, depreciation and amortization (EBITDA) for the fiscal year 2016 of $159.5 million, a 49% increase from $107 million during the previous year. The designer and manufacturer of suspension and brake components for the automotive industry announced its net revenue during the fourth quarter 2016 rose to $217.65 million, 37% more than $159.6 million from the same period in 2015. According to its unaudited financial results for the fourth quarter, the auto supplier EBITDA reached $41.05 million, a 77% rise from the $23.2 million in the Q4 of 2015. Net income increased to $10.05 million, 85% more than the $5.45 million in the previous year. For the fiscal year 2016 Rassini’s net revenue rose to $817 million, 27% more than $644.8 million in 2015. Its net income increased to $71.5 million, a 62% rise from the $44.2 million in the previous year. Rassini is the world's largest producer of suspension components for light commercial vehicles as well as the largest fully integrated brakes disc producer in the Americas. Suspension products include leaf springs (parabolic and multi-leaf) for light and commercial trucks, coil springs and bushings. The brakes business manufactures rotors, drums, brake assemblies, clutch plates and motor balancers. Its customer base includes: General Motors, Ford Motor Co., FCA, Nissan, Volkswagen, Toyota, MAN, Scania, Maserati, Mercedes Benz and Daimler among others.